This is part of a series of interviews with science communicators about science communication. Today we are Speaking to… Suzanne Miller-Delaney about Voice of Researchers. Why was Voice of Researchers set up? Voice of the Researchers, or VoR, is a network bridging individual researchers and decision-makers, bringing together researchers and enabling them to take an active role in shaping the European Research Area. In March 2012, the European Commission (through the EURAXESS portal) launched a call for expressions of interest to take part in a brainstorming session on research careers. Over 400 researchers residing in Europe answered the call and 25 were chosen to travel to Brussels and discuss their experiences. It was following this initial meeting that VoR was born. The 25 researchers went on to form the “multipliers group” of VoR and have spent the 18 months since, developing the network. How has it grown since then? VoR does not have a membership as such and is based on a network structure, in which all researchers in Europe can participate by sharing ideas, challenges and proposals, through online portals and social media. The ‘mulitpliers group’ act as enablers, promoting VoR and communicating outputs to decision-makers and other stakeholders. Since their initial meeting in March 2012, the VoR network has grown substantially. Members of the multipliers group have attended ESOF 2012 (July 2012, Dublin), Naturejobs (September 2012, London), EURAXESS Links 1st Global Conference (November 2012, Beijing), EU2013 IUA Researchers Careers & Mobility (May 2013, Dublin) and most recently, the Lithuanian Presidency Conference “Invest in Researchers” (Nov 2013, Vilnius). VoR now has close to 1800 twitter followers (@research_voice) and reaches on average approximately 3400 researchers per month on Facebook. 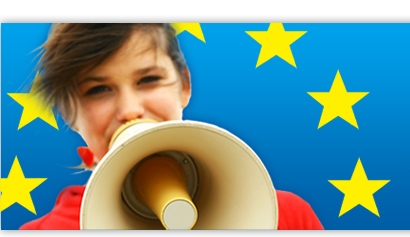 The VoR website (voice.euraxess.org) was launched in March 2013 and includes an interactive discussion forum. Why does the area between policy makers and researchers need your help? EU policy-makers regularly involve European-level stakeholder organisations and individual experts in their work, but there currently exists no communication channel through which to directly engage with individual researchers on a systematic basis. VoR aims to fill this gap by acting as a direct communication channel between researchers, decision-makers and other relevant stakeholders, allowing researchers themselves to determine the most important issues to be addressed. It is this ‘bottom-up’ ethos in addition to the promotion of direct communication with the policy-level which sets VoR aside. You are about to host a conference in Brussels, what is it about? “Raising Researchers’ Voices – Opinions on Jobs, Careers and Rights” will take place on 21-22 November 2013. In keeping with the VoR’s bottom-up ethos, the conference promises a highly interactive and varied programme of events. Conference participants will include approximately 200 researchers of all ages, nationalities and disciplines, working within the 28 member states of the EU. Hosted by members of the VoR multipliers group, participants will be encouraged to give their opinion on the most contentious issues for research careers – including job instability and the challenges posed by new trends in open access and applied research agendas. The format of the conference will be a break from the norm, relying heavily on social media and including elevator pitches and ‘ERA Slams’, in which researchers will take to the stage to present their views and ideas on career-related topics. Rather than many panel discussions or lectures, there will be small group discussions by all conference participants and live voting on topics of relevance to researchers. The idea is to identify the biggest issues affecting researchers and their careers in Europe, and to come up with changes the researchers themselves want, delivering them in person to the policy level. Why is social media such a heavy part of the conference in Brussels? Social media actively strengthens the connections of the VoR network every day and is a vital aspect of its continued growth. During the upcoming conference, VoR will reach out beyond the 200 participants in Brussels by posting the discussion live to Twitter, Facebook and on the VoR forum. Polls taken by conference participants will also be posted online and, at the venue in Brussels, a social wall will stream online comments live to the discussion groups, allowing researchers from all over Europe to take part and make their voice heard! The “Raising Researchers’ Voices” conference will take place on 21-22 November 2013 in Brussels. Registration for the event is now closed, but readers can keep up to date with conference developments (#vor2013) on Facebook and on Twitter @Research_Voice.